Fostered by its successful tryst in Chandigarh and Jaipur, Jugnoo now forays into the financial and tech hub of Haryana, Gurugram, with its ‘ready to eat’ food delivery service. Owing its genesis to Jugnoo’s versatile disposition, it is an on-demand meal service that garnered immense appreciation post its initial launch in August 2016. Ken Research has announced latest publication titled “National Broadband Plans in Asia-Pacific: Focus on Bridging the Digital Divide to Spur Economic Growth” which discuss scope of broadband in Asian region. 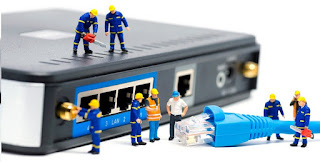 It gives an understanding of the national broadband plans adopted by the governments in APAC region. The report analyses guidelines set under NBPs such as targets, technology, funding and role of governments as well as private operators. The report investigates NBPs in APAC countries. The report analyses targets, technologies, funding strategies and role of government and private sector in achieving the goals of NBPs. 2016 has been an eventful year for GIM Healthcare Management (HCM) - more than 80% of the students are already placed by 20 December and the placement team is confident of completing the entire process before the end of the year. ZOPO, the hi-tech enterprise which is engaged in designing, manufacturing and marketing of mobile intelligent terminal products, today announced its tie-up with Home Credit, a leading consumer durable loan and two wheeler finance provider in India. In a robust push towards Indian government’s ‘Startup India’ initiative, Amazon.in’s global program ‘Amazon Launchpad’ witnessed close to 250 plus applications within 3 days of its launch. The program was announced earlier this month with an aim to make it easier for Indian startups to launch, market and distribute their products to millions of Amazon customers across India and around the world through a dedicated store. Intex Technologies bags yet another retail industry award, with its branded retail store - Intex Smart World, winning one of the most coveted retail industry award – North India Retail Summit Award, part of the India Retail Forum. The North India Retail Summit Award (NIRS) held its inaugural edition focused on how retailing has evolved in North India and various aspects of current business scenario. Ken research announced recent publication on “Consumer and Market Insights: Meat in Brazil,” which offers insights on Brazil trade scenario in meat sector. Report discuss present and future outlook of the meat demand and supply along with total domestic consumption. It provides detailed analysis on market sizing and recent trends prevailing in the industry to understand future prospects. Moving a step ahead, World’s first free linguistic email address service ‘DATAMAIL’ is now accessible through your computer using web browsers. User can now access the Marathi email address service from all popular browsers like Chrome, Firefox, Internet Explorer, Opera, Safari, Netscape, Safari, Flox etc. 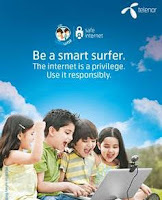 Telenor published its WebWise report that analyses internet usage and access patterns of school going children. The report has findings of the safe Internet survey done in schools by Telenor India. Noble Skiodo breaks new ground with its first Curved 32” Curved TV ‘32CRV32P01’, that blends the exciting new look combined with the high quality which you expect only from Noble Skiodo TV, all at budgeted prices. 10digi, a web and app based aggregator platform launched its services in Delhi/NCR region, by recruiting 500 mobile retailers (MRs). The company has invested over 75 lakhs in the initial phase and a further investment of Rs. 2 crores for the Delhi/NCR market will be made. LG Electronics (LG) is showcasing its futuristic Levitating Portable Speaker (model PJ9) at CES 2017, the proving ground for exciting technology from across the electronics industry. The mesmerizing wireless speaker hovers in place over the accompanying Levitation Station to deliver high-quality audio while making quite an impression with its eye-catching design. In addition to its striking looks, the versatile speaker gives users the ability to seamlessly play music, podcasts and other audio content in the home as well as outdoors. NASA’s Cassini spacecraft closely captured the image during its closest-ever flyby of Pandora on December 18, 2016, during the third of its grazing passes by the outer edges of Saturn's main rings. The image from NASA's Cassini spacecraft is one of the highest-resolution views ever taken of Saturn's moon Pandora. 74 BC Technologies operating commercial two wheelers under the “Baxi” brand, has partnered with MobiKwik, India’s leading mobile wallet provider to offer facility of paying for trips using MobiKwik. Customers can also add cash to their MobiKwik wallet through Baxi buddies, instead of transferring from bank accounts or credit cards, thereby supporting the cashless economy vision of the government. GoDaddy announced that it has helped Ahmedabad-based - CompuBrain become a one-stop shop for domain name registration and digital services. Through GoDaddy, CompuBrain has successfully provided 80% of their customers with ideal domain names for their businesses. Since 2009 GROHE has cooperated with the Salesians of Don Bosco and Don Bosco Mondo e.V. with a view to improving the life chances of disadvantaged young people. During this time the partners have jointly opened three GROHE Dual Tech training workshops for disadvantaged youths in India and the Philippines. Additional sites in other countries are at the planning stage. Most recently Grohe AG und Don Bosco Mondo e.V. signed a cooperation agreement laying out their plans for continued successful cooperation. Snapdeal in partnership with Uber and UrbanClap is planning to bring a special cheer to children supported by 25 of India’s leading NGOs, this Christmas and New Year. As part of this initiative, Snapdeal Sunshine will facilitate customers to donate happiness boxes to over 25 NGOs across India (including Teach for India, GiveIndia, World Vision India, Bharti Foundation, Akshaya Patra, Samarthanam and others), and will also help them arrange Christmas and New Year celebrations for the children they work with. The customers who contribute towards this initiative will receive official invites from Snapdeal to participate in person in these celebrations, at the location of their chosen NGO. Samsung India has launched Samsung E.D.G.E., a first-of-its-kind campus program, to provide a platform that gives the country’s brightest minds at leading B-schools and engineering colleges an opportunity to get a head-start in their careers. Every piece of IT equipment has a finite life in a production environment. With the latest technologies to acquire in the IT infrastructure, space and data associated with the old one's need to be replaced. IT administrators mostly find it difficult to utilize the value associated with the old equipment. After all, equipment reliability is directly related to the profitability of the organization. Snapdeal announced the launch of a “Cash@Home” service, which allows users to order cash and have it delivered at their doorstep. Following the digital India dream of Government of India, BSNL has offered free E-Mail Address service in 8 Indian Languages to its broadband users by launching a ‘DataMail’ service. Now BSNL broadband users will be able to open an email ID in DataMail service in their own language. “With introducing demonetization, Prime Minister Modi is emphasizing Indians to adopt technology and the products created by it particularly in India’s rural landscape for financial inclusion and banking transactions, fruits of which would be imminent shortly” was the crux drawn out of a Seminar on Fin Tech Startups – Time to Unleash Potential under aegis of PHD Chamber of Commerce and Industry here today. Gaana announced that it has crossed 50 Million app downloads since it was launched 4 years back. Gaana is now the biggest music and content streaming service in India and is credited with re inventing the music industry by replacing low quality online music with a monthly subscription service with unlimited downloads and listings of over 10 million songs. Quintype, a data driven SaaS Platform for the new age digital media based out of Bangalore and California, has extended their new employees the option to brush up and add on to their skills through a BootCamp program. 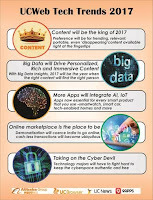 The start-up backed by the Indian media baron Raghav Bahl, appreciates the role that big data, analytics & data driven decision making will play in the success of media organizations. Millions of people will declare their resolutions for 2017. Whether you're resolving to lose weight, get fit, pay off your debt, or just be more grateful for the life you've got, it can be notoriously difficult to follow through in the long run. But put technology on your side and give it your best shot. Here are best five apps designed to help you stick with your New Year's resolutions and achieve your goals. Flock announces the release of its platform, FlockOS. It claims that it is the world’s first chat operating system. Developers can now build customized apps, bots and integrations on Flock, and either use them within their organization, or publish it on Flock’s App Store, making them available for all Flock users. Zoomcar, India’s leading self-drive car rental company offering car sharing services, raised an undisclosed amount of additional investment from Chinese venture capital firm Cyber Carrier CL, following Zoomcar’s Series B round of funding earlier this year. This capital infusion is an extension of that same financing round. Xerox announced that Herve Tessler has been appointed president of International Operations. Tessler, who currently serves as president for Xerox’s Corporate Operations, will assume his new role in January 2017. 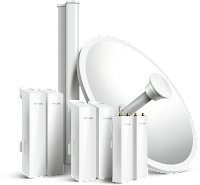 Hughes Communications announced that Oil and Natural Gas Corporation (ONGC), India’s largest producer of crude oil and natural gas, has selected the Hughes JUPITERTM System to revamp and upgrade its existing satellite network across India. National Informatics Centre (NIC), under the aegis of Ministry of Electronics and Information Technology, organized the Digital Awards 2016, at Vigyan Bhavan, New Delhi today. Shri Ravi Shankar Prasad, Hon’ble Union Minister of Electronics & Information Technology and law & Justice conferred the awards to the winners from eight categories, in the presence of P. P. Chaudhary, Hon’ble Union Minister of States for Electronics & Information Technology and law & Justice, Ms. Aruna Sundararajan, Secretary, Ministry of Electronics & Information Technology, Dr. Ajay Kumar, ‎Additional Secretary, Dept. of Electronics and Information Technology, Dr. R Chidambaram, Principal Scientific Advisor to the Government of India, Smt. Neeta Verma, Director General, NIC and Smt. Alka Mishra, Senior Technical Director, NIC. Continuing to enhance real life impact through technology, Microsoft India, in collaboration with L V Prasad Eye Institute, launched Microsoft Intelligent Network for Eyecare (MINE). This is a mission-driven global consortium of like-minded commercial, research and academic institutions who have joined hands to apply artificial intelligence to help in the elimination of avoidable blindness and scale delivery of eyecare services worldwide. India’s fastest growing digital payments platform, FreeCharge has announced the appointment of Anand Sinha as Director – Partnerships & Strategic Initiatives. Fujitsu India announced the availability of the management scholarship offered by Fujitsu Limited for qualified applicants in India with a bachelor’s degree, at least three years of full-time work experience, and over 750 points in TOEIC. The scholarship covers the tuition for the Global Leaders for Innovation and Knowledge offered by Fujitsu-JAIMS Foundation. The application deadline is noon of Japan time on March 15, 2017 for the program starting in August 27, 2017. Asus Zenfone 3 Max 5.5 is a treat for photography enthusiasts. With its 8MP + 16 MP (front + rear) cameras, the smartphone ensures stunning, high-resolution photos with zero shutter lag. The 16MP f2.0 camera of the Zenfone 3 Max ZC553KL features triple technology autofocus system which ensures a superfast focus time of 0.03 seconds.— laser, phase detection and conventional contrast detection for continuous auto-focus —that automatically selects the best one depending on the subject, lighting and range. For videos, an electronic image stabilization (EIS) system counteracts hand movements to ensure the resulting videos are stable and shake-free. The final day of the fifth edition of the International Conference on Digital Libraries (ICDL) organised here by The Energy and Resources Institute (TERI) focused on the development of sustainable communities and the role of technologies such as the ‘Internet of Things’ in ensuring that India meets its Sustainable Development Goals (SDGs). It placed the focus on addressing the challenge of providing communities access to an increasingly large volume of information available online today. People who have access to this information must learn to use it effectively as well and here knowledge centres such as libraries can help ensure communities are able to prepare themselves better. Airlines and airports in India are expected to rapidly ramp up their spend on new technology over the next three years to keep up with surging growth which will see passenger traffic double to 370 million by 2020. The growth will position India as the world’s third largest aviation market. National Conference on Intellectual Property Rights (IPR) held here under aegis of PHD Chamber of Commerce and Industry has recommended to the government that institutional mechanism is called for protection of IPRs in the absence of which remains the scope of piracy that goes on unabated. Sterlite Tech bagged two Frost & Sullivan India Manufacturing Excellence Awards (IMEA) 2016 for its fully integrated optical fibre (OF) manufacturing units at Waluj and Shendra, Aurangabad. Videocon Smartphone, India’s fastest growing mobile phone player today announced the launch of its latest device, Ultra30 in partnership with online portal Snapdeal.com. Packed with advance features such as 4000 mAh battery, 3GB RAM, 32Gb ROM, MiraVision, Cast Screen, camera with LED selfie Flash, Dual WhatsApp, SOS-Be-Safe, Gesture Control, Ultra30 intends to continue the standard set by Videocon in design & craftsmanship in the handset market. The Ultra30 has brought Videocon’s latest innovation in camera, memory and battery power. FreeCharge announced its tie up with Gautam Budh Nagar Zila Chemists Association, which will see nearly 2000 pharmacies in Noida & Greater Noida start accepting FreeCharge. Truecaller, one of the leading mobile communication applications in the world with services in caller ID, spam detection and dialer functionalities, today released the latest edition of TrueInsights Q3 report. The report sheds light on the call volumes of ecommerce and cab hailing services in India. With internet population set to reach 730 million by 2020, Indian market offers great prospect for the businesses operating in the ‘i’, ‘m’ and ‘e’ space – transcending services over the air on your computer, smartphones, tablets and many other connected devices. Digital payments and financial inclusion is now reaching to completely new segments of the society. With a significant increase in the adoption, it is vital to educate the users on how secure it is, answer their apprehensions and also highlight how to safeguard themselves from unscrupulous elements. Sonata Software announced that its Unified Enterprise Mobility Platform Halosys had been granted a patent USPTO # 9,491,125 for its innovation on rule based notifications. The patent was granted for a key technology innovation in the Halosys platform that enables users to be notified across web, SMS, email and in-app push notifications based on events matching a pre-configured set of filters including the user’s location, time of day, along with the data from the event’s object graph. AGC Networks announced that it has achieved Gold partner status from Hewlett Packard Enterprise (HPE), which is recognition for AGC’s consistent ability to deliver the highest level of trust, qualification and technology access to our clients businesses and IT environments. To support our partnership AGC has over 30 Years of combined experience in designing, deploying and managing solutions around HPE’s Server, Storage and Networking portfolio. Close on the footheels of Facebook, Twitter today announced that now anyone can broadcast live video directly from its apps. Powered by Periscope, live video on Twitter allows people to share and experience everything from significant moments to daily life together with an audience - all through a Tweet. In the current climate, operational efficiency and business agility are more important than ever to support modern business innovation. As global markets combine with competitive pricing pressures to place greater stress on maintaining margins, organisations must seek the efficiencies needed to protect market share. Whether you have staff servicing customers a few miles from the office or joining a meeting from somewhere across the country, your workforce is rarely in the same place at the same time. And with an increasing number of employees working with team members across different remote locations, mobile unified communications and collaboration (UCC) solutions are a necessity. Customers globally are embracing UCC to accelerate their businesses – the UCC market is predicted to grow from $23.39 billion in 2016 to $42.72 billion in 2021. A disruptive player in the field of consumer payments and mobile banking solutions, Citrus Pay announced its association with HPCL, aimed at making the delivery of LPG Gas Cylinders smart and cashless. LIC Mutual Fund Asset Management Company announced its readiness on Unified Payment Interface (UPI) as mode of payment for its investors to invest in LIC Mutual Fund schemes. FreeCharge’s “Flat 100% Cashback Sale” received overwhelming consumer interest on day 1 of sale as users flocked to grab tempting cashback offers on a range of online and offline offers. 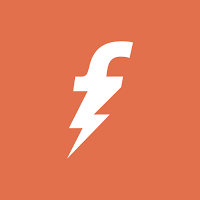 The traffic on FreeCharge surged 4X on the first day of sale, as consumers enjoyed the never-before flat 100% cashback offer across more than 1,00,000 merchant stores. Happy to share that in recognition of his contribution in the field of Media and Communications for over two decades, Gurmit Singh, Vice President & Managing Director, Yahoo India has been conferred the Honorary Degree of Doctor of Arts by Jagran Lakecity University (JLU), Bhopal. IBM announced that Dewan Housing Finance Corporation Ltd. (DHFL), one of India’s premier housing finance companies, is leveraging IBM technology including Cloud and Analytics, to create a digital enterprise and accelerate its growth strategy. Hyve Mobility announced the availability of Hyve Pryme, the flagship Deca-core smartphone, on Amazon from December 15th, 2016. Launched in association with MediaTek, Hyve PrymeTM is a pure android smartphone, offering an extensive range of superior capabilities. The handset is powered by MediaTek’s flagship Helio X20 processor, along with Hyve Mobility ensuring its CTS compliance, whilst bringing patented technologies like Touch2Call. By: Mohammed Al-Moneer, Regional Director, MENA at A10 Networks The cyber landscape changes dramatically year after year. If you blink, you may miss something; whether that’s a noteworthy hack, a new attack vector or new solutions to protect your business. Sound cyber security means trying to stay one step ahead of threat actors. 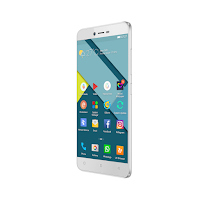 Gionee has introduced Pioneer P7, a power packed, technology pilot for the young, daring and curios. To help the latest technology reach the innovation hungry consumers who are more price-sensitive, the handset addresses the young with its flashy design, improved performance and expanded memory. 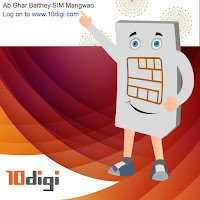 The budget-friendly Smartphone supports VoLTE and CDMA along with a 5 inch HD IPS display. Gaana is now available to consumers in 9 Indian languages besides English, making the app more accessible for audiences outside Tier 1 cities. Gaana will now be accessible in Hindi, Tamil, Telegu, Kannada, Malayalam, Marathi, Bengali, Punjabi, and Bhojpuri. Samsung Galaxy S7 edge now available in Blue Coral at Rs. 50,900. Samsung India announced the launch of a new colour variant of its hugely successful flagship device Galaxy S7 edge. In addition to its existing four colours, the smartphone will now be available in an elegant new Blue Coral colour. The new variants will also come loaded with 15GB free cloud storage for an even more complete smartphone experience. Organizations spend an average of 5.6 percent of the overall IT budget on IT security and risk management, according to the most recent IT Key Metrics Data from Gartner, Inc. However, IT security spending ranges from approximately 1 percent to 13 percent of the IT budget and is potentially a misleading indicator of program success, analysts said. Bingo Technologies, a consumer electronics accessories player, has announced the launch of its all new smart band – Bingo M2 Smart Band. The band is compatible with all devices featuring Android and iOS via Bluetooth 4.0 and below. MobiKwik, India’s largest independent mobile wallet has joined causes with Hon’ble Member of Parliament and BJP National Spokesperson Ms Meenakshi Lekhi in her effort to spread awareness for cashless transactions in Delhi. Augmented reality (AR) is believed to enhance and expand your view of the real world with computer-generated outputs, including sound, video, graphics, or GPS data. The discussion around augmented reality became obvious when Google Glass was launched a few years back. Most recently Pokemon Go again created buzz around augmented reality. AR has exciting implications for everything from education, defense, healthcare, and advertising, to construction, automotive, games, and much more. Avaya announced a new version of the company’s contact center platform that enables midsize businesses to rise above the competition by offering a superior, omnichannel customer experience. Avaya IP Office Contact Center 10 is a true, end-to-end solution with the advanced features and tools customers expect, but the simplicity and affordability needed by midsize business. In the third quarter of 2016, worldwide server revenue declined 5.8 percent year over year, and shipments declined 2.6 percent from the third quarter of 2015, according to Gartner, Inc. Among the top five vendors, only Cisco increased revenue in the third quarter, while Huawei and Inspur Electronics saw growth in shipments. HPE, Dell and Lenovo all experienced declines in both server revenue and shipments. mVisa, a Quick Response (QR) code-based mobile solution by Visa, will now support payments to over 1,000 TABCab taxis powered by Ongo. The announcement marks the expansion of mVisa to a new category (taxi) after success with merchants like TataSky, Idea, Pizza Hut and others. At the recently concluded event re: Invent, 2016, Amazon Web Services (AWS) launched the Service Delivery Program to help customers identify partners that provide expertise in a specific service or skill area. TO THE NEW, a leading digital technology company is happy to announce its recognition in the program for AWS CloudFront & RDS for PostgreSQL capabilities. Caring for the caregiver: The Vault opens for ‘Save Mom’, a maternity healthcare start-up! While winters might slowly be settling in, the fire of entrepreneurship blazes strong at The Vault, a one-of-its-kind Indian reality TV show. The ninth episode saw ‘Save Mom’, a maternity healthcare start-up, secure investment worth INR 30 lakh in exchange of 26% equity. The venture, which has developed a wearable digital health echo system for pregnant women, received the funding from Sudip Bandyopadhyay, Group Chairman, Inditrade Capital and Rahul Singh, Founder & CEO – The Beer Café. Bharti Airtel said that it has appointed Sunil Taldar as CEO & Director - DTH. Sunil will be a member of the Airtel Management Board and report to Gopal Vittal, MD & CEO (India & South Asia), Bharti Airtel. He takes over from Shashi Arora who after a successful stint of appx. five years as CEO – DTH has moved as MD & CEO, Airtel Payments Bank. Coolpad announced the launch of two new power packed smartphones in the below 10K segment. The products are in line with the company’s philosophy on “Empowering everyone everywhere”. Launched exclusively for the Indian market, Note 3S and Mega 3 are competitively priced at INR 9999 and INR 6999, respectively. These devices will be available in India from December 7th onwards exclusively on Amazon.in. Epson updated about its continued fight against the non-genuine ink business and the multiple measures taken recently to curb the sale of counterfeit bottles. To protect the rights of its customers, police authorities conducted a series of raids in Mumbai, Tirupati and Chennai recently, where operatives had generated information about fixers involved in filling, bottling, packaging and distributing counterfeit Epson ink. In an effort to send a strong message of zero tolerance towards the sale of fake cartridges, the police in different parts of the country have stepped up their cooperation and efforts to arrest and terminate such practices. Veeam Software announced that is has joined the Hewlett Packard Enterprise (HPE) Complete program. The program adds Veeam solutions to HPE’s price list so that customers can purchase complete HPE and Veeam solutions directly from HPE and its resellers. This enables customers to benefit from Veeam’s industry-leading Availability solution, enabling them to operate 24.7.365 in today’s cloud-first era. Quintype, a data driven SaaS Platform for the new age digital media backed by the Indian media baron Raghav Bahl, recently announced a partnership with Gaon Connection, India's first professionally run rural newspaper, that aims at bridging the information gap prevalent in rural India. The journal is currently published in Hindi, with plans to add other languages including English in the near future. Union Minister for Law & Justice, Electronics & IT, Ravi Shankar Prasad on Saturday disclosed that the NDA Government saved Rs.36,000 crores by digitalizing economic activities such as payment of subsidies and MGNREGA wages through direct cash benefit facilities on to the accounts of intended beneficiaries through Aadhaar. Tookan announces its partnership with PayLo, an omni-channel payment platform, to provide a hassle free payment option to its customers amidst the demonetisation wave in the country. The move to partner with PayLo is to provide digital payment option and ease the payment related challenges faced by Tookan’s customers. This partnership will enable over a million Tookan’s customers to continue with their day to day operations without any interruption caused by cash crunch in the market. Safaricom has announced plans to recruit 62 interns by January 2017 as it progresses its agenda to woo more women to the technology field. Delhi has emerged as the preferred state for hiring in telecom and allied sectors, according to India Hiring Intent survey. As per the survey, Hiring intent in this sector is expected to increase from 16 to 20 percent in 2017. Cloudatix Biz India Ventures recently launched its unique platform for Mobile Application Security Vetting and revealed the development of sole Indian Standard for Mobile Application Security. Vodafone India, committed to supporting the Government’s bold step to accelerate India’s progress into a less cash economy, today announced a unique cash out facility for its 8.4 million plus Vodafone M-Pesa customers who can withdraw cash using their digital wallet from any of the over 120,000 Vodafone M-Pesa outlets across the country, subject to availability. With the recent collapse of retailers such as Austin Reed, the British high street is feeling the tremors of the digital revolution. Businesses fail every day, but the demise of these heritage brands has triggered a wider debate about modernisation and has left business owners asking what they can do to avoid the same fate. The first priority of defense used to be to secure the perimeter. But changes are shifting the old concept of a fixed boundary in mobile-first wireless enterprises at a particularly dangerous time. “Know your enemy”, said Sun Tzu in around 500 B.C, although probably not referencing risk management in wireless data transfer. This well-known piece of wisdom does however apply perfectly to avoiding cyber-attacks on public Wi-Fi specificall in the time of demonetization: the threats you face are invisible to the naked eye, and can be best avoided with awareness of their existence. With that in mind, here are the three most common ways public Wi-Fi can be used maliciously to hijack passwords, drain bank accounts or make someone’s life miserable in any number of ways. Thankfully, it only takes a few easy precautions to avoid them and ensure your surfing is private, secure & carefree. Informatica announced that it is hosting Informatica WorldÒ Tour (IWT) for India on 25 November 2016 at Trident Mumbai, Bandra Kurla Complex, with a focus on using data as a strategic tool to make better business decisions. Pure Storage introduced the availability of petabyte-scale storage for mission-critical cloud IT, anchored by the release of the next-generation of FlashArray//m the company’s flagship all-flash storage array, which now delivers best-in-class performance with the simplicity and agility of public cloud. The FlashArray//m now offers customers petabyte-scale capacity with a measured 99.9999 percent availability and always-on Quality of Service – virtually eliminating storage downtime and application performance risk. Siemens Healthineers announced the launch of the CE-marked Atellica COAG 360 System1, a fully automated high-volume coagulation analyzer designed to streamline and unify hemostasis testing. Paynimo, a digital payment platform by Techprocess announces its tie-up with NumberMall, a rural e-commerce company based out of Hyderabad. It was started with a vision to be India’s largest rural retail tech company by serving 70% of India’s rural population needs by tech-enabling the 1.5 million kirana shops to reach 833 million rural consumers in India’s 650,000 villages. Epicor Software Corporation, a provider of industry-specific enterprise software to promote business growth today announced the launch of a brand new partner program in its EMEA (Europe, Middle East and Africa) and Asia Pacific regions. Designed to further accelerate international growth and support the company’s cloud-first strategy, the innovative new program gives partners benefits that focus on the value they bring to both businesses. A little bit of conflict between members of the C-suite is inevitable. When each member has different priorities and business objectives to the rest of the C-suite, it’s possible for this conflict to cause problems. 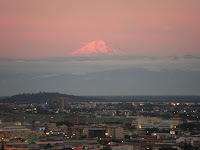 Part of the tension is caused by a lack of consensus on business growth. According to recent research by Epicor, this misalignment of goals could lead to business problems if left unchecked. But if differing viewpoints are channelled positively, using technology and data to inform decision-making, suddenly ideas can foster growth and innovation rather than continue to be a source of conflict. TP-Link, a provider of networking products inaugurated its all new HO in India, The opening of the new Head office reaffirms TP-Link’s commitment to this important market. The new Head Office in centre of Mumbai will help more numbers of Distributors, Retailers and Customers to reach to TP-Link India with ease and make business activities more dynamic. Netwrix Corporation, a vendor to introduce a visibility and governance platform for hybrid cloud security, announced the results of its second global Cloud Security Survey. Security and privacy of data and systems in the cloud remains a top worry for 70% of IT professionals worldwide, up from 63% in 2015. The top three cloud security concerns in 2016 are unauthorized access (69%), malware (37%) and denial of service (DoS) attacks (34%). India software revenue is forecast to total $5.8 billion in 2017, a 12.8 percent increase from 2016 estimates of $5.2 billion, according to Gartner, Inc. This is in comparison to Gartner's forecast for 2017 global spending for enterprise software will be $357 billion in constant U.S. dollars, with growth of 7.2 percent over 2016. Pure Storage announced that the company is expanding its FlashStack Converged Infrastructure Solution with Cisco, which makes it easier for customers to deploy, expand and maintain FlashStack solutions. With thousands of deployments in over 30 countries around the world, this proven solution continues to see triple digit growth year over year. It’s the news that every security team fears, yet, the fact is that any business can – and will – be the victim of a data breach at some point, many more than once. This is a particular concern for businesses in the Middle East – according to a March 2016 report by PwC, 85% of respondents to the survey believe that businesses in the Middle East are more likely to suffer from a cyber-attack compared to the rest of the world (global average of 79%). Worse still are the monetary losses, with 56% of Middle East respondents reporting losses greater than $500,000 compared to 33% globally. Securing the Hybrid Cloud: What Skills Do You Need? Hybrid cloud models offer many well-documented benefits, but they also introduce more complexity for securing data and applications across the enterprise. And this added complexity requires an increasingly diverse skill set for security teams. That’s a challenge, considering the growing cybersecurity skills shortage. In one recent study, 46% of organizations said they have a “problematic shortage” of cybersecurity skills – up from 28% just a year ago. One-third of those respondents said their biggest gap was with cloud security specialists. Enterprises today have to be aware that they have Data Chaos within their businesses, and they need to embrace this as part of their digital transformation. Indian insurer investment in IT products and services remains robust; overall spending is expected to increase to 150 billion rupees in 2017 – a 9.1 percent increase over 2016 estimates, according to Gartner Inc. This forecast includes spending by insurers on internal IT (including personnel), hardware, software, external IT services and telecommunications. Samsung Electronics Co. Ltd. announced the launch of the Tizen Mobile App Incentive Program, Samsung’s first initiative to support Tizen’s global developer community and expand its mobile app ecosystem. Developers are invited to submit Tizen mobile apps for an opportunity to win $10,000 or more. Utilization of electronic record keeping systems is becoming increasingly predominant within the healthcare industry due to a wide range of benefits, ultimately resulting in improved quality of care and patient safety, not to mention controlled costs and time savings for healthcare providers. TP-Link introduced the never before seen speed of AC1350 mbps with Wireless Dual Band Router Archer C60. 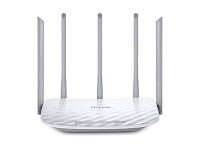 Equipped with five dedicated antennas, it transmits the latest wireless standard 802.11ac for fast, stable Wi-Fi throughout the home.